About College : The Institute of Public Enterprise (IPE) was established in 1964. Mr SS Khera, the then Cabinet Secretary,Government of India, conceived the idea of a research institution that would undertake a systematic and sustained study of issues relevant to the formulation of policies pertaining to Public Enterprises. Address : Osmania University Campus, Hyderabad - 500 007 Andhra Pradesh, India. About College :The Indian Institute of Planning and Management (IIPM) is a business school headquartered in New Delhi and has 18 branches across India. Founded in 1973, the institute offers undergraduate, postgraduate and doctoral programmes in national economic planning and entrepreneurship, and international and fellowship programmes. Address : IIPM Tower, 6-3-252/2, Erramanzil, Banjara Hills, Hyderabad - 500 007 Andhra Pradesh,India. About College :The Indian School of Bussiness (ISB) evolved from the need for a world-class business school in Asia. The founders, some of the best minds from the corporate and academic worlds, anticipated the leadership needs of the emerging Asian economies. 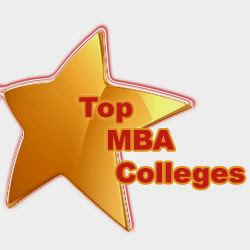 Address : Indian School of Business, Gachibowli, Hyderabad - 500 032 - 500 007 Andhra Pradesh,India. About College :The University College of Commerce and Business management is one of the prime colleges in the Osmania University, located on the main campus, playing a pivotal Role in serving the society by shaping the careers of the students keeping in view the changing socio economic environment. Address : Osmania University Hyderabad-500 007 Andhra Pradesh,India. About College :The Indian Institute of Management and Commerce(IIMC) established four decades ago(year 1973) has to its credit some outstanding achievements in the field of Commerce Education in general and Honours course in particular at the Degree level. Address : 6-1-91, Adj. Telephone Bhavan,Khairatabad,Hyderabad - 500 004 Andhra Pradesh,India. About College :IBS offers high-quality programs in different areas of management to a cross-section of students, executives and professionals across India. IBS has a reputation for innovative program design and delivery, quality courseware, personalized instruction, strong industry interface, research, consultancy and publications.. Address : IBS Hyderabad Donthanapally, Shankarapalli Road Hyderabad- 501203 Andhra Pradesh,India. About College :Amity Global Business School is a private business school in India offering management programs at graduate, post graduate and doctoral levels. It is part of Amity University. In 2011, the school was ranked 44 by Outlook magazine in the ranking of best B-schools in India, 41 by Business Today and 21 by Zee Business.. Address : Road No 11, Mithila Nagar, Banjara Hills, Hyderabad, 500034 Andhra Pradesh,India. About College :Lords Educational Society has established Lords Institute of Engineering & Techonology at Himayathsagar Hyderabad. Located just 7Kms from Mehdipatnam. Adjacent to ORR-Shamshabad Airport Police Academy and is located in serene surroundings of Himayath Sagar. The building consist of 250000 sft with all facilities that foster education amongest students. Address : Survey N0-32, Himayath sagar,Near Police Academy Junction Hyderabad, 500034 Andhra Pradesh,India. About College :Al-Qurmoshi Institute Of Business Management is affiliated to Osmania University , approved by AICTE (All India Council for Technical Education), Ministry of HRD Government of India and recognized by Andhra Pradesh State Council of Higher Education. Address : # 18-11-26/7, Jamal Banda, Barkas Hyderabad, 500 005 Andhra Pradesh,India. About College :Founded in 1981 by Vasavi Academy of Education, Vasavi College of Engineering represents a rich tradition of excellence in technology-based education. A premier-league institution among the affiliates of Osmania University, Vasavi College of Engineering owes its vision to Sri Pendekanti Venkata Subbaiah, a veteran statesman of Independent India.. Address : 9-5-81, Ibrahimbagh Hyderabad - 500 031 Andhra Pradesh,India.